Scale School participants learn from Wharton faculty, alumni entrepreneurs, and industry executives on how to find new customers, grow a workforce, manage supply chains, and navigate complex regulations. The series provides attendees a space to engage with other professionals across various fields who are grappling with similar challenges. Alana attended the Scale School sessions titled “Growth through Acquisitions” to learn more about how to combine the strengths of Amazon and Whole Foods to achieve shared success. “Prior to working on this [Amazon] integration, I didn’t fully understand the complexity of acquisitions. Scale School equipped me with the tools needed to identify efficiencies and scale the business, while maintaining the integrity of the brand,” she explained. 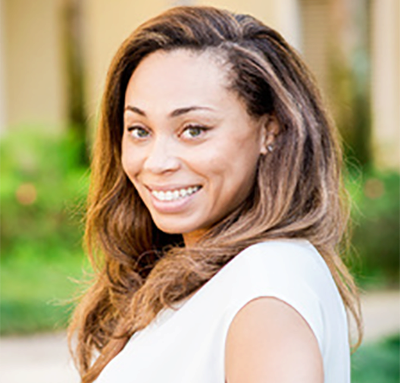 Beyond the direct impact of classes and Scale School, Alana noted several unexpected aspects of the EMBA program that have elevated her school experience while simultaneously helping her become a better intrapreneur at Amazon. “When I was admitted, I was worried that a part-time program would limit my ability to develop meaningful relationships with my classmates. I was wrong!